Article 8.2(b)(iii) of the Rome Statute that established the International Criminal Court (ICC) identified the act of “Intentionally directing attacks against personnel, installations, material, units or vehicles involved in a humanitarian assistance or peacekeeping mission in accordance with the Charter of the United Nations, as long as they are entitled to the protection given to civilians or civilian objects under the international law of armed conflict” as a war crime for which the ICC would have jurisdiction (Rome Statute, pdf; German Law Journal). On this, the week we observe the annual International Day of Mine Awareness and Assistance (United Nations), it is important to recognize the fact that deminers not only face the very real risk of an accident in the line of their work, but deminers have also become a target of those who would wish to prevent peace and development. Too many deminers have been abducted, attacked, injured and killed in the line of duty. This must stop. Last week, Afghan extremists targeted the guest house of the demining and development organization, Roots of Peace, and with bombs and guns, sought to end their commitment to turn “mines into vines.” In defiance, Roots of Peace “remains resolved to helping Afghan farmers nationwide to improve their incomes and create a stable economy” (Roots of Peace; Washington Post). We should follow the example of Roots of Peace and recommit to landmine clearance and mine risk education and call upon the international community to prosecute those who would hinder this important work. 14-Mar-14 Afghanistan 1 adult, 1 child killed in attack on Roots of Peace guesthouse in Kabul. 1-Nov-13 Mozambique Two deminers with Handical International shot by RENAMO members in attack on convoy traveling through Sofala Province. 2-Jul-13 Afghanistan Deminer working for Mine Clearance Planning Agency killed in Kandahar by NATO airstrike. 19-Jun-13 Somalia Two South Africans from Denel Mechem, contracted to do mine action in Somalia, were killed in an Al Shabaab attach on a United Nations compound in Mogadishu. 18-Jun-13 Yemen Six deminers and three soldiers were kidnapped by armed tribesmen in the southern province of Abyan. 9-May-13 Afghanistan 11 deminers with Mine Detection Center abducted in Nangarhar, local warlord “Sherwali” accused of crime. 3-May-13 Senegal Twelve deminers from South Africa’s Denel were abducted by MFDC rebels from the Cesar Badiate faction. All demining halted for six months. Three women were released after a couple of weeks; the nine men were released after two months. 23-Apr-13 Afghanistan In Meiwand, 9 deminers kidnapped by Taliban, held for one week and then released unharmed. 28-Apr-12 Sudan Two employees of the United Nations Mine Action Service and two employees of Denel Mechem were arrested by the Sudanese Army and accused of supporting the South Sudanese army. They were released, unharmed, six weeks later after negotiations involving former South African President Thabo Mbeki. 2-Apr-12 Afghanistan Three Deminers from HALO Trust kidnapped in Herat. 25-Oct-11 Somalia Three employees of the Danish Demining Group, a Dane, an American and a Somali, were abducted by “pirates” in northern Somalia while conducting mine risk education. The Somali was released almost immediately, but the Dane and American were held for three months for ransom. Both were freed by a US Special Forces operation that received White House attention. 9-Jul-11 Afghanistan 31 employees of the Demining Agency for Afghanistan abducted from Farah province. 4 deminers were killed (beheaded) before the other 27 were released after four or five days. 7-Jun-11 Afghanistan Deminer from the Mine Dog Detection Center killed in Logar province. 9-Dec-10 Afghanistan 18 employees from the Mine Detection Centre abducted from Khost province. 2-Dec-10 Afghanistan Seven deminers from the Organisation for Mine Clearance and Afghan Rehabilitation kidnapped from Nangarhar province and taken to Pakistan’s Khyber region. 10-Apr-10 Afghanistan Five employees of the Demining Agency for Afghanistan killed and another 13 injured in Kandahar province by a roadside bomb. 19-Aug-08 Afghanistan In Gardez province, 11 demines and two drivers from the Mine Detection Centre abducted; seven released within 48 hours. 28-Jun-08 Somalia A Dane, a Swede and a Somali were kidnapped from the International Medical Corps compound in Hodur. The Dane and Swede were conducting a mine action training assignment on the United Nations behalf. 24-Mar-08 Afghanistan Five deminers from Afghan Technical Consulting killed, seven others injured in convoy ambush in Jawzjan province. 6-Sep-07 Afghanistan Thirteen deminers from Afghan Technical Consultants abducted; all released one week later with no reported casualties. 12-Jan-06 Sri Lanka Two deminers from the Danish Demining Group kidnapped by the Liberation Tigers of Tamil Eelam in Jaffna Province. One of the key contributors to planning and implementation of the Third Review Conference of the Mine Ban Treaty taking place this June in Maputo, Mozambique will be Mozambique’s landmine survivor community. One of the representatives of that population is RAVIM. Founded in 2005 by two landmine survivors, Rede para Assistência às Vítimas de Minas (RAVIM, the Assistance Network for Landmine Victims) is the only Mozambican organization dedicated to providing support and comfort to Mozambique’s landmine survivors. With forty members and a permanent staff of five, RAVIM conducts outreach to identify and register landmine survivors with the goal of linking survivors to basic and specialized health services. RAVIM has also provided some material support to survivors through grants from donors and educates Mozambicans on landmine risk and HIV / AIDS among persons with disabilities. Since 2007, RAVIM has worked closely with Handicap International to conduct assessment of the disability sector and landmine survivor assistance needs. In 2004, the First Review Conference of the Mine Ban Treaty was held in Nairobi, Kenya and Luis Silvestre Wamusse and Manuel Alberto Chauque, attended the conference under the Raising the Voices program hosted by Landmine Survivors Network (LSN). Raising the Voices trained survivors to be advocates for the Mine Ban Treaty, especially the provision of survivor assistance. Upon their return from Nairobi, Wamusse and Chauque, and other Mozambican landmine survivors, began working to create the core of what would become RAVIM to respond to the incredible need in Mozambique for survivor assistance. 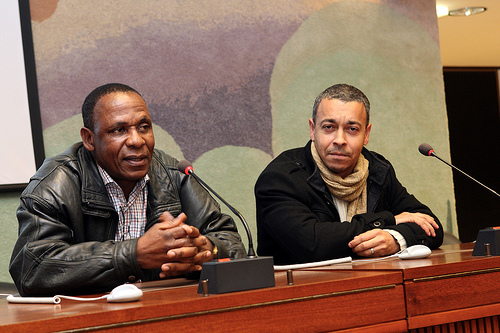 Luis Wamusse (on left), Director of RAVIM at 13MSP in Geneva, 2013. Landmines have been the third leading cause of amputation in Mozambique, trailing only diabetes and road accidents, and for many people rehabilitation and reintegration services are unavailable. RAVIM has found “victims who stepped on a mine fifteen to twenty years ago and have never been able to get to a hospital.” While the government of Mozambique has a national disability policy that would include landmine survivors (it’s actually had two), no funds have been allocated to implement the plan. Fighting poverty in this vulnerable section of society. RAVIM strives to have an accurate evidence-base for its efforts so much of the work of the members has consisted of assessing Mozambique’s landmine survivor population. With more than 2,000 documented casualties in the country, RAVIM has registered over 900 individual survivors identifying where they are and what their needs are. For individuals, RAVIM has provided wheelchairs and other mobility devices to survivors; for youth survivors, RAVIM has provided scholarships for students to complete their education. With funding from the Dutch Ministry of Foreign Affairs, the Australian Agency for International Development (AusAID) and the United Nations Development Programme (UNDP), RAVIM and Handicap International conducted a survey on the living conditions and needs of landmine survivors in Inhambane and Sofala provinces. Funding is being sought to address the issues and needs identified in the survey. Most recently, RAVIM received funding from the Norwegian government’s Survivor Networks initiative, managed by the International Campaign to Ban Landmines (ICBL). RAVIM’s Survivor Network project focuses on Gaza province and will assess the needs of survivors there and provide referrals and direct assistance to survivors. In addition to its service provision, RAVIM participates as an advocate for survivors and persons with disabilities in negotiations for the unfunded national disability policy and Wamusse frequently attends international meetings related to landmines to advocate on behalf of all survivors. Unfortunately, RAVIM’s financial situation is precarious despite the economic gains of Mozambique. To save costs, RAVIM shares office space with ADEMO, a school for the blind. With the support and partnership of Handicap International, RAVIM has been able to conduct assessments of landmine survivors to try and determine their population and needs, but RAVIM does not have the funding to provide rehabilitation services and is instead reliant on referrals to other service providers. Even those referrals may be inadequate since many government-run rehabilitation and prosthetic centers lack the supplies needed for production. I am proposing a first step toward the eventual elimination of a less visible but still deadly threat: the world’s 85 million antipersonnel land mines, one for every 50 people on the face of the Earth. I ask all nations to join with us and conclude an agreement to reduce the number and availability of those mines. Ridding the world of those often hidden weapons will help to save the lives of tens of thousands of men and women and innocent children in the years to come (State Department). To date, we have seen tremendous success in reducing the “number and availability” of anti-personnel landmines, but the “elimination” of landmines has been more “eventual” than I think anyone would have expected. But a new year is a time for new optimism; let’s see where 2014 takes us. A landmine targeting a Somali military vehicle traveling through the Yaqshid neighborhood north of Mogadishu killed a civilian woman and injured several others. A Somali soldier may also have been killed and other soldiers wounded, but no official confirmation of military casualties was made (Hiraan Online; All Africa). A few days later, a landmine detonated as an aid convoy passed on its way to Ifo 1 camp near the Dadaab refugee camp complex. Five Kenyan policemen were riding in the car that was struck and suffered minor injuries. This was the second such attack on an aid convoy in Dadaab in as many weeks (All Africa; All Africa; All Africa). On the Afgoye to Mogadishu road, two soldiers were killed and three others injured by a landmine (All Africa; Sabahi). In Galka’ayo town in the semi-autonomous region of Puntland, a landmine was placed under a bridge near the local hospital. When the mine was triggered, three people were killed and another seven injured (All Africa). And in Beledweyn town in central Somalia, a site of significant conflict, two landmine blasts occurred simultaneously. No casualties were reported but some witnesses believed that the person or persons who were planting the mines may have accidentally triggered them. The blasts were immediately followed by a security sweep which arrested dozens of young men suspected of complicity in the blasts (All Africa; All Africa). The lone bright spot in Somalia comes from the semi-autonomous region of Somaliland. Since Somaliland is not recognized as an independent state, it cannot join the Mine Ban Treaty, but the government of the region has been working with Geneva Call to draft legislation that would mirror the Mine Ban Treaty and prohibit the use, transfer and stockpiling of landmines. The legislation is under consideration by Somaliland’s House of Representatives and may come to a full vote in the very near future (Somaliland Sun). 5.3 million square meters of land were cleared in Cunene province (Defence Web). In total, more than 1,500 landmines and 100,000 explosive remnants of war (ERW) were cleared from Angola in 2013. The United Nations High Commissioner for Human Rights, Navi Pillay, commended Angola on its work to “free the country from landmines.” There is lingering concern, however, despite the tremendous progress made in landmine clearance that the demining program is “hamstrung by lack of funding” and the work is being scaled back in various parts of the country (Defence Web; All Africa). Sudan, even after the partition that created South Sudan, has one of the worst landmine contamination problems in Africa. Since the conclusion of the Comprehensive Peace Agreement in 2005, Sudan has made significant progress to clear its known minefields with some 385 minefields consisting of 42.6 million square meters of land cleared since 2011. Local organizations like JASMAR and Friends of Development Organization have been working on mine risk education in addition to clearance and now the local communities of Sudan can report any discovered ERW (UNOCHA). As a result of these efforts, in January the government of Sudan declared several areas of East Sudan, including Togan, and that Kassala state is expected to be landmine-free in 2014. The landmines and ERW is these areas date back to World War II and continued through 2007. The states of Kassala, Red Sea and Gedaref have some 545 landmine survivors and the government has recognized landmines as “the main obstacle to comprehensive development, reconstruction, and voluntary return to affected areas.” Another 500 landmine survivors have been registered elsewhere in Sudan but efforts for survivor assistance were not highlighted in the recent announcements about landmine clearance (All Africa; All Africa). Tunisian authorities arrested three persons, a “terrorist” and two others in the Kasserine region, and seized three landmines. Over the last several months, several landmines have detonated around Kasserine and nearby Mount Chaambi were Islamist fighters have been suspected of hiding (All Africa). As landmine clearance expands in Zimbabwe with the support of the HALO Trust and the International Committee of the Red Cross (ICRC), mine risk education programs for school children have also begun. Some 9,300 students who live near the border minefields of Crooks Corner received mine risk education to learn how to identify and avoid anti-personnel landmines (Relief Web). There is no such thing as red mercury. Tampering with landmines is extremely dangerous. 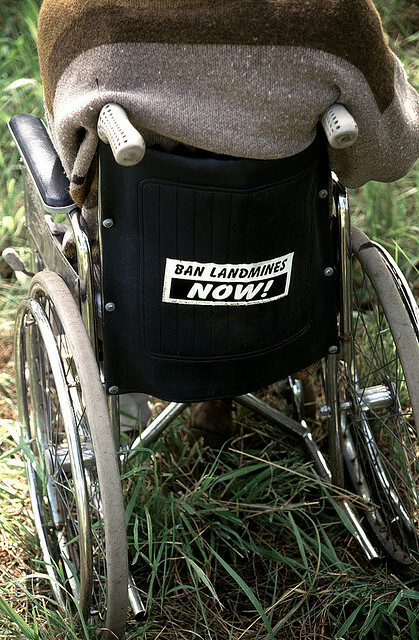 Enough people are killed and injured by landmines. The Boko Haram conflict in northern Nigeria is one of the bloodiest in Africa. Characterized as an insurgency or coordinated series of terrorist attacks, I think it’s rapidly developing into a civil war. I am skeptical of most reporting on the Boko Haram conflict, but there is the possibility that the group has started to use victim-activated landmines in addition to other improvised explosive devices. According to one report, more than 50 people were killed in Borno State and 300 houses destroyed on the last weekend of January. A security source said “The [Boko Haram] attackers used several improvised explosive devices and planted several improvised explosive devices around the village as they were leaving. Two improved explosives went off this morning, narrowly missing our security personnel going there to evacuate corpses.” Referring to the planted bombs as “landmines,” as the paper, “Leadership,” has done may be an accurate portrayal of Boko Haram’s devices. The fact that the bombs went off many hours after the attack and appear to have been used as booby-traps for persons clearing the bodies of those killed is suggestive of a victim-activated device (All Africa). The majority of the coverage of South Sudan lately has been rightly focused on the half million people displaced and 10,000 killed in violence between factions loyal to President Salva Kiir and ousted Vice President Riek Machar. While a Cessation of Hostilities agreement was signed by the two sides, violence continues as does displacement both within South Sudan and in refugee camps in neighboring countries. Displaced persons are at a high risk of landmine injury due to the fact that they are traveling through unfamiliar territory, quickly and with little or no support from official sources. That risk was made evident when two people were killed and another 14 injured as the Land Cruiser they were riding in drove over a landmine in Upper Nile State. The Land Cruiser was being used a form of public transportation and served the needs of people who were displaced (Radio Tamazuj). I am certain there have been other landmine injuries during the weeks of violence, but this was the only confirmable report I have seen. 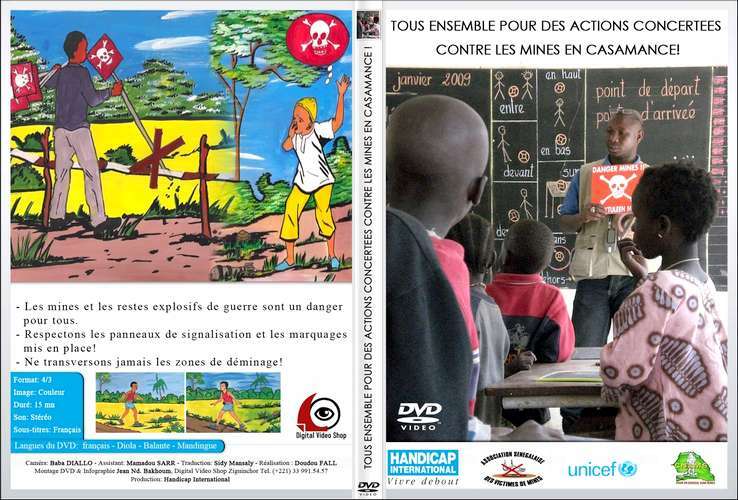 Handicap International (HI) has launched a new demining program in Orientale and Maniema provinces in the Democratic Republic of Congo (DRC). Some 30,000 square meters of land near the city of Kisangani will be cleared using a combination of mechanical methods and manual methods. Between a 36-ton MineWolf and a team of mine-sniffing German Shepherd dogs, HI’s deminers in DRC hope to make rapid progress. Similar combinations of techniques have cleared more than 12 million square meters of land in Mozambique (Handicap International). Speaking of Mozambique, the Belgian organization APOPO will be deploying a “small army” of its specially trained rats to help the country meet its mine clearance deadline of December 31, 2014. In a perfect description of humanitarian demining, APOPO’s Mozambique program manager, Tess Tewelde, said, “The target is not the number of landmines, rather it is to clear the contaminated area and give back to the people. Whether [landmines] are few or many, the threat is the same” (The Guardian). Five United Nations peacekeepers were slightly injured when their vehicle ran over a landmine some 20 miles from the northern town of Kidal. Kidal had been held by Islamists prior to the French military’s intervention in the country and still has some rebel elements active in the region. The identity of the peacekeepers is unknown, but most of the troops are from other African countries with some French and Chinese soldiers participating in the UN Stabilization Mission in Mali (MINUSMA) (The Telegraph). In the last few months, some very positive news has emerged from Senegal suggesting that the thirty-year long conflict between separatist rebels in the southern Casamance region and the central government in Dakar may be near an end. The Casamance region separated from the rest of Senegal by The Gambia which rests along the southern and northern banks of the Gambia River. This physical separation is part of the reason for the conflict, but there are other issues at play including political and economic isolation (which probably weren’t helped by the geography). Since his election in 2012, Senegalese President Macky Sall has emphasized efforts to bring peace to the region with the assistance of international and national mediators between his government and the separatist factions known collectively as the Movement of the Democratic Forces of the Casamance. 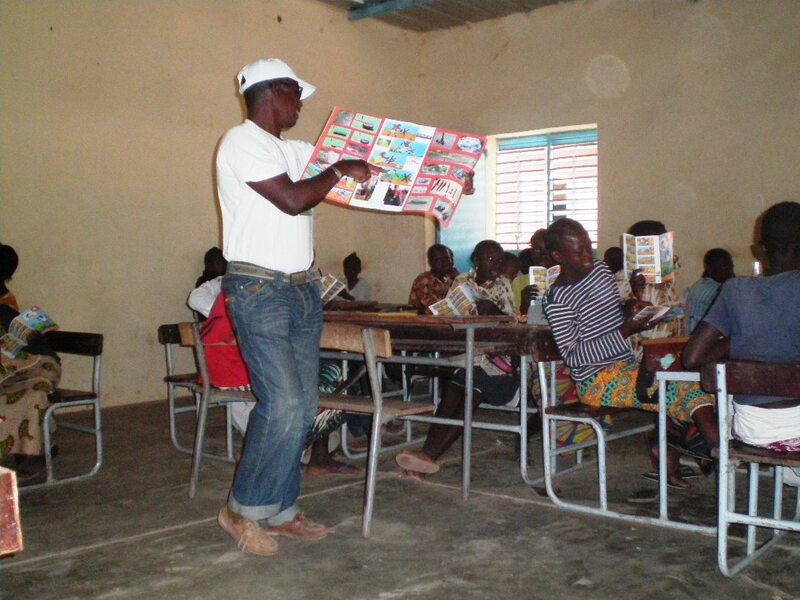 The heightened prospects of peace have brought a new focus on mine action in the Casamance region, from demining to risk education to victim assistance. But in addition to the immediate benefits of mine action activities, work around landmines has aided in the cause of peace and provided indirect benefits that may secure a permanent peace in this troubled region. Mine action provides direct benefits in terms of increasing physical security of persons living in mine-affected regions, increased economic activity in mine-affected areas and provision of rehabilitation and reintegration services to victims. Over the three decades of conflict, roughly 1,000 people have been killed or injured by landmines, but this number has been declining since 1997 when over 200 landmine accidents were reported. In 2008, only one accident was reported, but in 2011 32 people were killed or injured by mines and in in 2013, 3 people have been killed in two separate incidents (IRIN News; The Monitor). But the general trend has been positive due to heightened awareness through mine risk education and extensive clearance efforts. Those clearance efforts were started by Handicap International (HI) which surveyed the portions of the Casamance under the control of the Senegalese government. HI also engaged in clearance activities, but in recent months, demining activities have been led by Denel Mechem, a private South African firm, and Norwegian People’s Aid, an international non-governmental organization. Between the three groups, over 600,000 square meters of land have been cleared representing half of the known contamination. 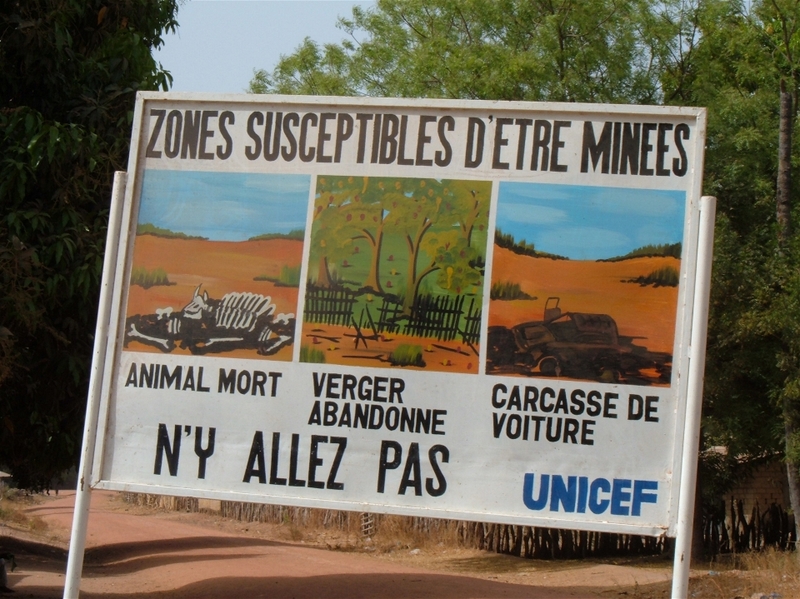 This has led some to suggest that Senegal will definitely meet its Mine Ban Treaty deadline of March 1, 2016 for clearance of all anti-personnel mines (IRIN News). In addition to reducing the number of landmine injuries, the clearance of former minefields is allowing refugees who fled the Casamance for safety and peace in the Gambia to return to their homelands. Senegalese refugees poured into the Gambia 10, 15, 20 years ago and have been living in Gambian villages and communities ever since, putting strains on local agricultural resources. But, with the clearance of mines from the Casamance and the increased prospects for peace, many of these refugees are returning to their home villages in Senegal. These returns are accompanied by increased agricultural outputs from southern Senegal and therefore increased economic activity overall (All Africa). Senegal, through the national mine action center (CNAMS) and a variety of national and international NGOs strives to provide victim assistance services to those injured by landmines. Since 2011, the availability of services has increased, but many barriers to access remain. 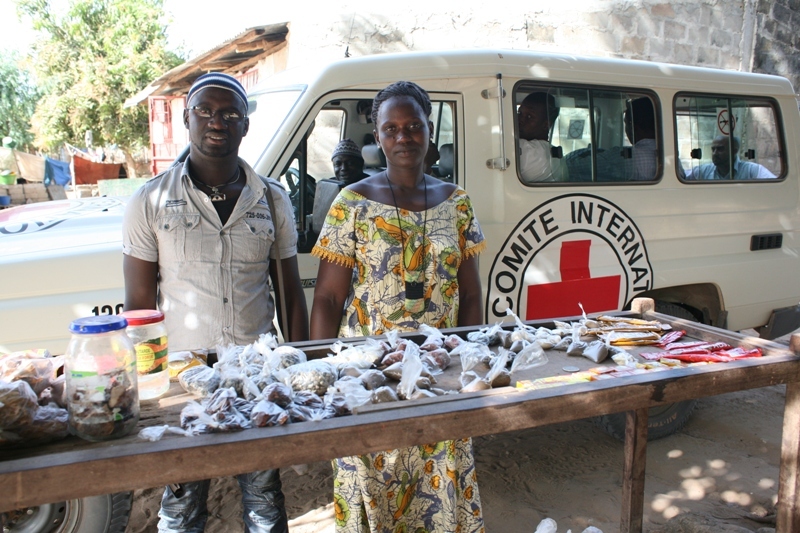 The complete range of victim assistance services, from emergency medicine to psycho-social counseling, is available in the Casamance region, but services are provided by different organizations and many are centralized in the regional capitol, Ziguinchor, making them inaccessible for survivors elsewhere. This is an area in which the government could improve its response, but the fact that services are available at all is notable (The Monitor). While harder to quantify, the indirect benefits of mine action are sometimes more important than the direct benefits described above because they can impact the entire country, not just the persons living in mine-affected regions. 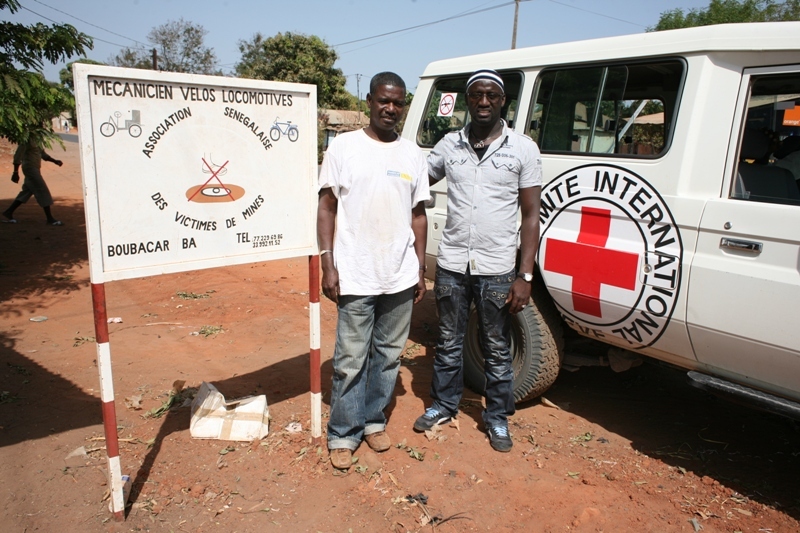 In Senegal, landmines are being used as an entry point into peace negotiations; mine action is building confidence and goodwill in the residents of Casamance towards the central government in Senegal; and it provides the basis for long-term economic development. There are two international organizations actively engaged in the negotiating process between the government of Senegal and the MFDC. Under official auspices, the Sant Egidio community, a Catholic lay community based in Rome has been mediating negotiations between the political wing of the MFDC and Macky Sall’s government. Sant Egidio has been involved in a number of peace negotiations, including the one that concluded the twenty-year civil war in Mozambique, and have a strong reputation within the international community. Their involvement is supported by the US State Department and has been welcomed by both parties to the conflict. However, long before the entry of Sant Egidio, the NGO Geneva Call entered into negotiations starting in 2006 with the MFDC with the hope of getting the MFDC to sign a deed of commitment to ban the use of anti-personnel landmines. Geneva Call’s deed of commitment is modeled on the Mine Ban Treaty and has served as an opportunity to engage with non-state actors to reduce the humanitarian impact of conflict. But, it also provides the opportunity to build rapport with rebel groups, identify leaders and put Geneva Call in the position to facilitate and mediate peace negotiations between parties to a conflict. Thus, using landmines as the entry point, Geneva Call has been able to facilitate humanitarian demining in Casamance while also engaging with the military wing of MFDC (Geneva Call; IRIN News). This relationship feeds into the negotiations mediated by Sant Egidio. The thirty years of conflict and repeated promises by Senegalese leaders have left the people of the Casamance politically apathetic and generally feeling forgotten by Dakar. In 2000, the newly elected Abdoulaye Wade promised to resolve the conflict in 100 days and the fact that he failed to do so (by some 4000 days), led to very low turnout in the 2012 election by people in the Casamance. After years of unmet promises and thousands of victims, “forgotten Casamance… has been dying a slow death” (African Arguments). But the renewed engagement by Macky Sall’s government, which has established a de facto cease fire and, and the continued demining has allowed refugees to return to the region as described above. Those returns, and the demonstration of belief that those returns represent on behalf of the people of Casamance, shows that Dakar has not abandoned the region. And the conflict is not just receiving attention locally. Macky Sall met with US President Barack Obama in March 2013 to discuss the Casamance conflict, a meeting well publicized in Senegal, which reflects the high level of interest concluding this conflict has in both Senegal and internationally. And it starts with landmines. By supporting demining, the US and Senegalese governments have shown to the people of the Casamance their interest in the region and their desire for peace. Through this strategic investment, the US has been able to buy trust among Casamance civil society to be able to send a high level delegation to the region to put pressure on the Senegalese government and the MFDC to negotiate (State Department). 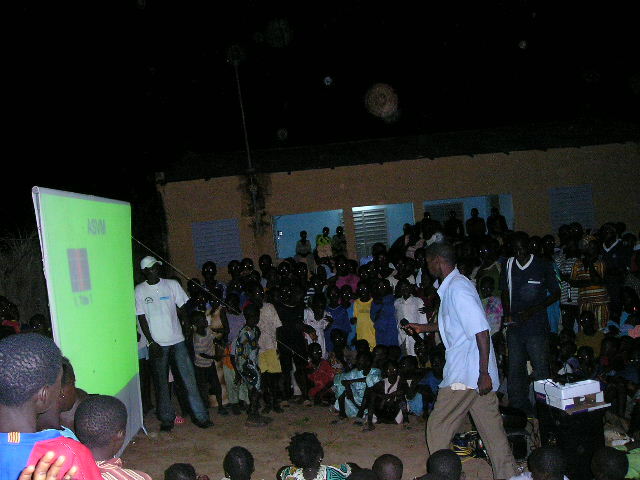 Last, poverty has become endemic in the Casamance. Between people fleeing the violence and agricultural lands abandoned due to landmine contamination, what was once the breadbasket of Senegal had been allowed to run fallow. “For us the demining represents a return to normal life. This will allow people to escape from the poverty into which the landmines plunged them” (All Africa). But in addition to alleviating poverty through cultivation, trade across the borders with the Gambia and Guinea-Bissau can resume. Roads that had been closed due to fears of landmine contamination will now be opened allowing trade within the Casamance. The World Bank estimates that 0.1% of contamination by landmines results in a 0.5% decrease in GDP. For every field freed of landmines, the economy of the whole will grow. This will also improve relations between the states and within the region. While the Gambian president has pledged his support for peace (All Africa), he has been suspected of aiding the MFDC which has soured relations between the two countries. Once peace is consolidated in the Casamance and the mines are cleared, the rest of the refugees in the Gambia and Guinea-Bissau can return to their farms and enter productive cultivation and not rely on support from host governments as refugees. Once the conflict in the Casamance is resolved, the Senegalese army can join regional peacekeeping units instead of being forced to fight in their own backyards. And it starts with landmines; or rather it starts by using landmines to address the larger issues of isolation, poverty and political exclusion. That’s why mine action is important. Because it’s not just about landmines; it’s about development and the consolidation of peace. In the modern world of internet, telecommunications, mass media and whatnot, the ability for individuals to find platforms to express themselves is simply astonishing. However, one group I keep looking for and have some difficulty finding is landmine survivors. There are many, many landmine survivor stories available on line, but many of them are filtered through one of the many (worthy) organizations working in mine action. The survivors’ voices are selected for their ability to convey the message the mine action organization needs to communicate, often related to fund-raising. The opportunities to hear directly from survivors in an unfiltered manner are few, but notable. What follows is a non-exhaustive list of survivor voices which provides some sense of the breadth of landmine survivors who are telling their own stories, on behalf of themselves and their peers. Uganda Landmine Survivors Association (www.uganda-survivors.org): Founded in 2005 and led by survivor and International Campaign to Ban Landmines ambassador, Margaret Arach Orech, the Uganda Landmine Survivors Association (ULSA) is a national organization focusing on advocacy and victim assistance. The Association’s members are locally-based survivor associations that strive to serve the needs of landmine victims in their areas through a range of victim assistance programs, including psycho-social support and economic empowerment. Afghan Landmine Survivors Organization (www.afghanlandminesurvivors.org and www.facebook.com/afghanlandminesurvivorsorganization): Founded in 2007 the Afghan Landmine Survivors Organization (ALSO) provides peer outreach, vocational training, and advocacy for landmine victims. On behalf of all persons with disabilities, ALSO works on issues of inclusion and accessibility and uses social and traditional media (check out their Flickr page in addition to their Facebook page) to get their message out. Landmine Survivors Initiative (www.ipm-lsi.org): Founded by the former employees of Landmine Survivors Network’s Bosnia-Herzegovina office, Bosnia’s Landmine Survivors Initiative (“Inicijative preživjelih od mina” in Bosnian) continues to provide peer support and advocacy leadership for landmine survivors in Southeastern Europe. Saharawi Association of Landmine Victims (www.facebook.com/ASAVIM): The Saharawi Association of Landmine Victims (Asociación Saharaui de Víctimas de Minas, ASAVIM) provides victim assistance and mine risk education services to Saharawi living in refugee camps in Algeria. The Director of ASAVIM participated in the 2012 “Lend Your Leg” campaign. Firoz Alizada (Twitter: firozalizada): Firoz is the Campaign Manager for the International Campaign to Ban Landmines (www.icbl.org) and a landmine survivor from Afghanistan. Firoz lost both legs in 1996 when he was 13 and on his way to school. Stuart Hughes (Twitter: @stuartdhughes): Stuart is a news producer for the BBC. He lost a leg in an explosion in Iraq during 2003’s Operation Iraqi Freedom. In 2012, he carried the Olympic Torch as part of the relay prior to the London Olympics. The Advocacy Project (www.AdvocacyNet.org): The Advocacy Project (AP) works with human rights and advocacy organizations to build their capacity to advocate for themselves. AP volunteers establish blogs and social media channels for partner organizations and then trains them on their use. In Vietnam, AP supports the Association for the Empowerment of Persons with Disabilities and in Uganda, AP supports the Gulu Disabled Persons Union which has links to the Uganda Landmine Survivors Association. Landmine Victims Speak Up (www.Landmine-Victims.org): Created by a high school senior in North Carolina, Landmine Victims Speak Up provides a forum for Bosnian landmine victims to tell their stories. I love that this site exists. Another video-sharing site is VIMEO but many of the videos available on VIMEO are also available on YouTube (although there may be some deterioration in quality in the conversion from the higher-resolution, better produced material on VIMEO, to the lower-resolution, more accessible YouTube). If you know of other Survivor Voices in the Internet, please let me know and I will update this list. Football has long had a positive role in advocating against landmines and for the needs of landmine victims. David Ginola, a Frenchman who played for Tottenham Hotspur, took on the role of being the public advocate for landmines on behalf of the Red Cross, a role that had previously been fulfilled by Princess Diana (The Independent; The Guardian). The 2008 UEFA European Championship sponsored the “Score for the Red Cross” campaign which provided victim assistance support to landmine victims in Afghanistan (Kick It Out). In Sierra Leone, the Single-Leg Amputee Soccer Club serves as a role model for the ability of persons with disabilities and landmine survivors (The National). Most recently, Sir Bobby Charlton, a legendary player for Manchester United founded the charity, “A Better Way,” with Mines Advisory Group to raise funds to support the development of new landmine detection technology (MarketWatch). More broadly, football has been involved in anti-racism campaigns (Kick It Out) and football stars have served as spokespersons for various causes, like Didier Drogba of the Ivory Coast and Chelsea Football Club has done for malaria (The Independent) and Barcelona Football Club did for UNICEF, the United Nations children’s charity (UNICEF). However, there is a seamier side to football; including accusations of exploitation of young men from developing countries, corruption within the game’s national and international associations and the encouragement of gambling on games and the attendant match-fixing scandals. I would like to call attention to the role of money in the game and specifically ask the question of whose money is funding certain teams. At the 1:14 mark in this video, please note the name of the sponsor on the boards behind the goal, “Hanwha SolarOne” (and remember this is mere seconds before Everton scores the opening goal of the game, a true rarity).The game is between Everton and Blackburn Rovers of the English Premier League and was played at Goodison Park on Saturday, January 21st. I am personally an Everton supporter and have been since attending the Boxing Day match between Everton and Manchester United in 2001 (I think) where, despite the presence of my namesake, Joe-Max Moore, Everton lost 2-nil. Since that game, I have dutifully followed Everton’s ups and downs and rooted for my countrymen, Brian McBride, Tim Howard and Landon Donovan when they wore the blue jersey. I personally own three Everton jerseys and a scarf and have proudly worn them on four continents, receiving a few cheers and many more jeers for my choice of team. This year, Everton has been spectacularly poor, losing to good teams and bad teams at the same pace and normally I would be saying things like, “they’ll turn it around” or “Everton will beat the drop” or “they’re my team, I’ll live and die by them in the Premiership or the Championship.” However, I stopped being an Everton supporter the moment I saw the Hanwha SolarOne advertisement and realized that Hanwha SolarOne sponsored Everton. Hanwha SolarOne is a Korean company that produces photovoltaic cells (solar cells) and is part of the Hanwha Group. As part of its marketing strategy, Hanwha SolarOne has deliberately targeted European football clubs, including Hamburg SV in Germany, Bolton Wanderers in England and Juventus in Italy, for sponsorship and partnerships (Hanwha SolarOne; Football Marketing). Hanwha Group has entered an exclusive relationship with Bolton Wanderers, but that relationship does not preclude Hanwha SolarOne and other Hanwha Group companies from entering into relationships with other football clubs. Globally, Hanwha Group, a Korean company, has assets of $83 billion and in 2010 generated more than $26 billion in revenues from its 56 Korean and 69 global corporate members active primarily in the manufacturing, finance and service sectors (BusinessWire). One of Hanwha Group’s subsidiaries, Hanwha Corporation, makes landmines. In 2007, Hanwha Corporation produced 10,000 self-destructing anti-personnel landmines, and an unknown number of Claymore-type landmines. The Republic of Korea remains outside the Mine Ban Treaty and reserves the right to produce more landmines so it is entirely possible that Hanwha Corporation has fulfilled additional orders for landmines since 2007 (The Monitor). 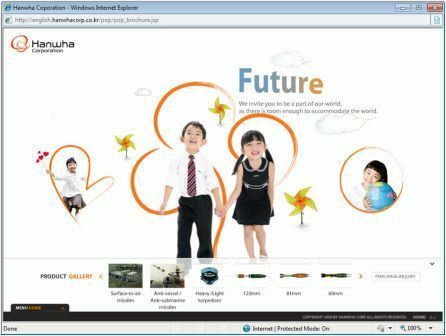 Hanwha Corporation’s defense business and products are detailed on their website (Hanwha Corporation) and the following screenshot from the electronic brochure shows some of Hanwha Corporation’s products and some possible victims of those products. Hanwha Corporation’s sponsorship of Bolton Wanderers Football Club was covered by a fan website which also pointed out the connection to landmine production (Manny Road Blog). At the time, I mentioned the link between Hanwha and Bolton on Twitter, but I did not pay attention to who else Hanwha sponsored in England – although I had noticed that Hanwha sponsored Bayern Munich and Borussia Dortmund in Germany. Had I followed the story, I would have seen the comment on the Just Another 606 page which pointed out that Hanwha also sponsored Everton (see comment from “exiledboltonian”). Knowing what I know now, I simply cannot support Everton any longer. I understand football teams seek out sponsorship, but I refuse to be associated with a team that takes money from a known landmine manufacturer. Period. Full-stop. I’ve seen what these weapons can do to children the same age as those in Hanwha’s brochure and am disgusted that the team I’ve supported for a decade is in bed with these butchers. Goodbye, Everton. You disappointed me; not as a fan, but as a human being. Michael P. Moore, January 25, 2012.